Here we review the BreatheWear Halo Chin Strap, which is definitely not your average or cheap snoring or sleep apnea chin strap. It is priced clearly higher than many others, maybe even 5 times higher than the cheapest models sold on the market, but it surely tries to justify this level by offering features which are important for people suffering from snoring or sleep apnea or those who are wearing CPAP masks. At the time of writing this review the price is roughly $28 on Amazon or a little less $24 on CPAP supply USA. I consider this a negative factor because it is much higher than other offers, but perhaps well justified. 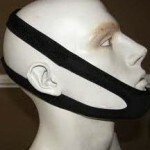 First to mention is the high quality of this chin strap. This is especially important is people have to wear it a lot and therefore the quality is critical to provide more comfort and less skin issues. Next, as you may have seen in my other reviews there are sometimes problems with size, i.e. 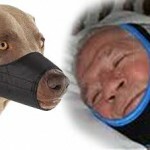 people unable to fit the cheaper snoring chin straps to all head sizes. Here the manufacturer claims the ability to fit from extra small to extra large sizes. 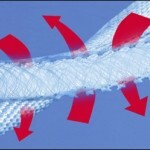 Finally, the part where I actually find to be maybe the most important is that the fabric is breathable and the reason I think this is extremely important is because it is much healthier for the skin and its ability to breathe and perspire properly, which should also decrease rash type of problems which could occur when using some other snoring solutions. … comfortable…Works well with my mask. 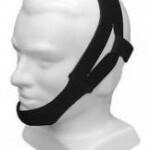 Negatives: as mentioned, I think the high price (versus other chin straps) and the lack of positive feedback are negative factors for this sleep apnea and snoring chin strap solution. However, for someone suffering from these sleep disorders it could be worth to invest the $25ish amount, which is actually still a negligible amount when compared to other snoring solutions or sleep apnea / CPAP solutions. Positives: we have few very positive buyer feedbacks, the fact that the materials from which the BreatheWear Halo Chin Strap is made are breathable and of high quality, the ability to cater to heads of various sizes properly (not just promising and not delivering like some other snoring chin straps) – so 4 very strong positives. With 2 not extremely powerful negatives and 4 solid positives I do think this is a very good product and I would recommend people to try it (and leave feedback for others when you do). Thanks for reading this snoring chin strap review. If you want you can see also my other reviews or check out other snoring solutions. 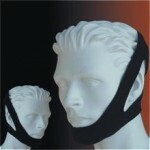 Is snoring chin strap the best anti snoring device? 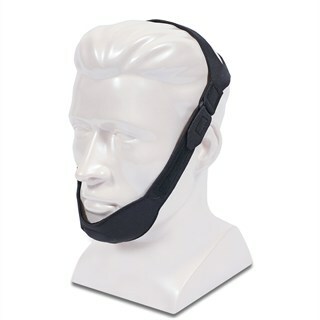 Although I really like all the explanations and quality of this snoring chin strap I think I will go for something cheaper just because I am really tight on money right now. Still, thanks for the review. Yes, it is a little more expensive, but you get what you pay for! I have been using a CPAP now for 2 1/2 years now. What I noticed with the more inexpensive chin straps, you buy them more often. Most would only last a month and that is only with weekly washing. This has lasted around 14 months and counting. Well worth the investment when you use it every night.